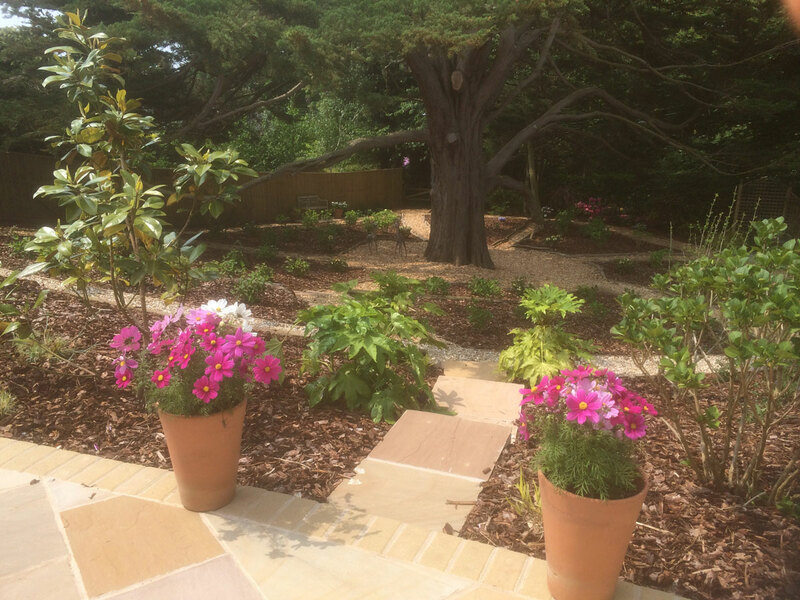 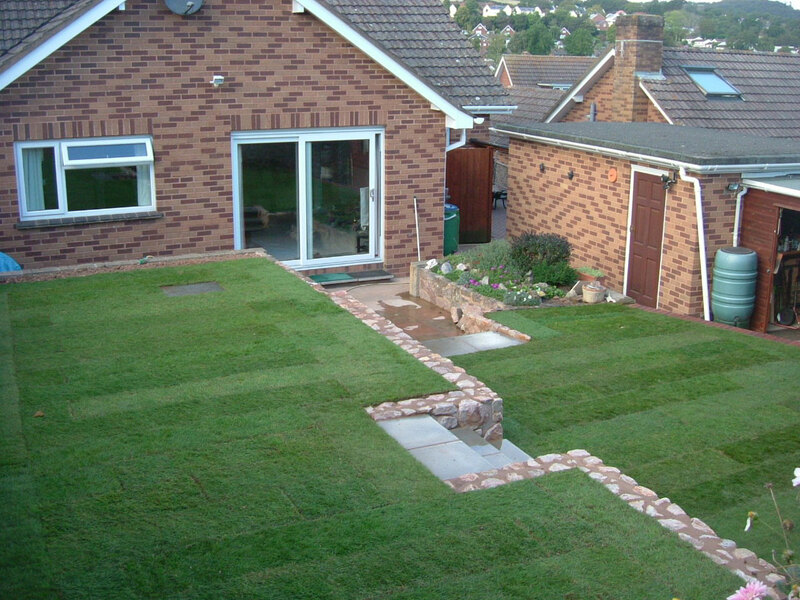 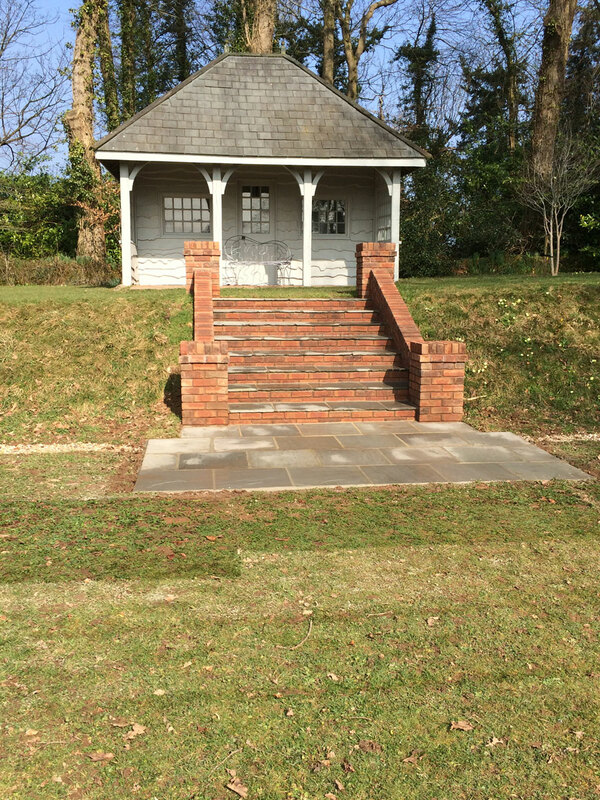 Total re-landscape following clients own design. 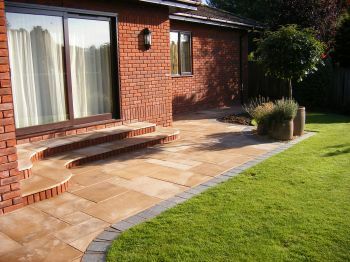 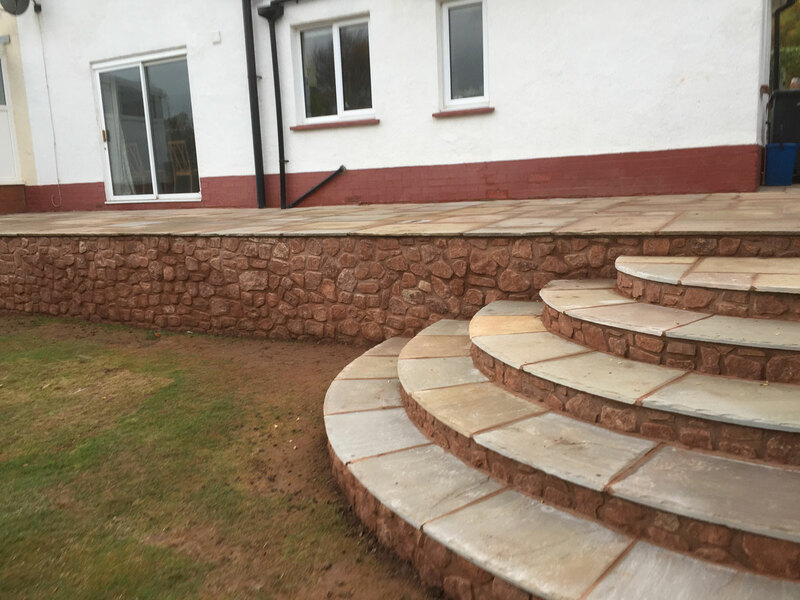 Construction sandstone wall together with steps and patio in natural stone. 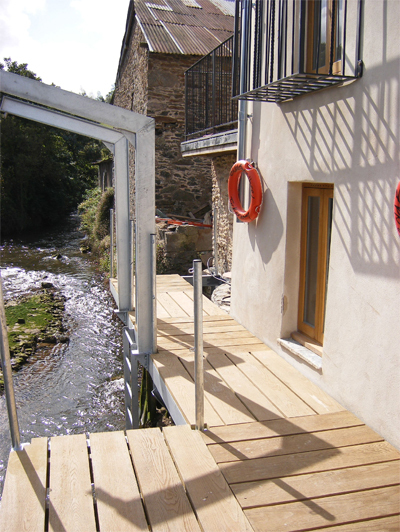 Steps to Hotel Outdoor Wedding Venue. 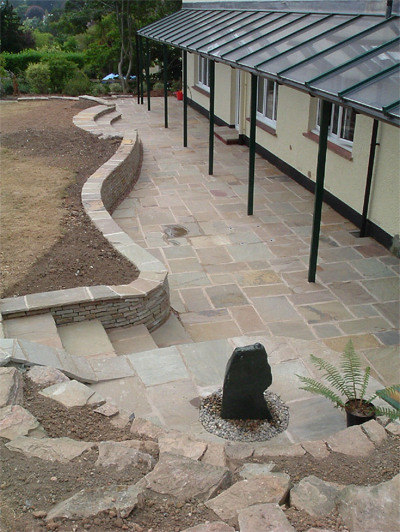 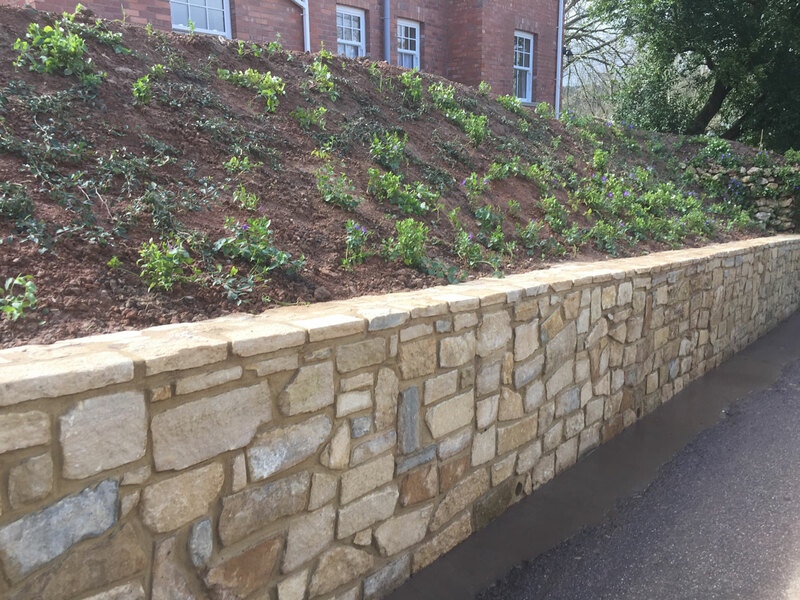 Construction of garden on several levels divided by natural stone walling. 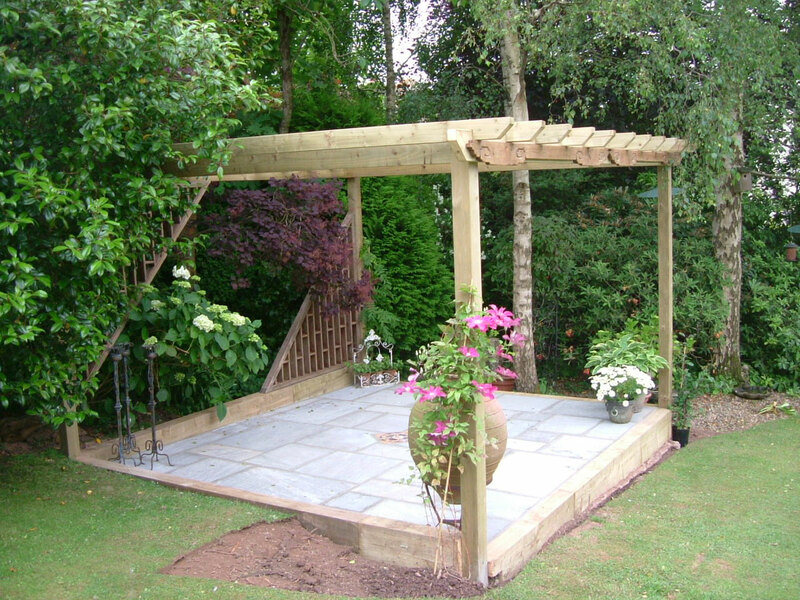 Construction of timber pagola with natural stone paving within. 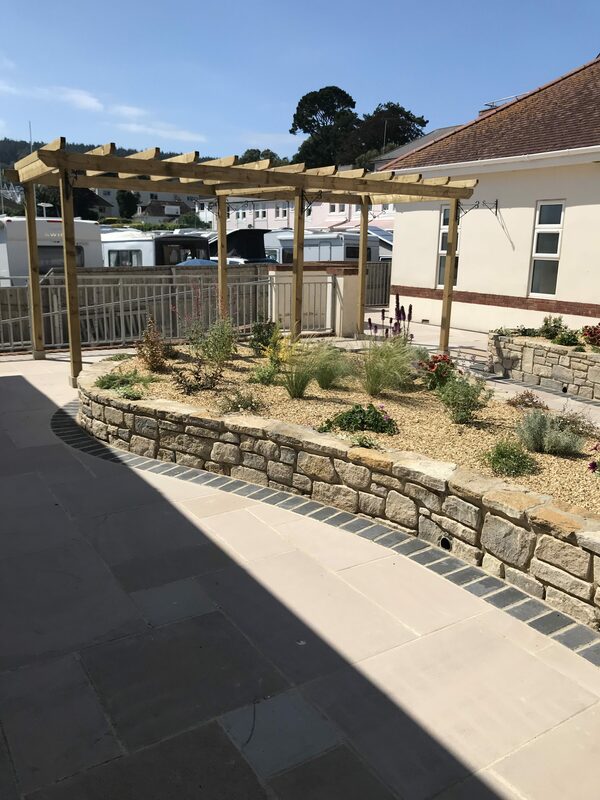 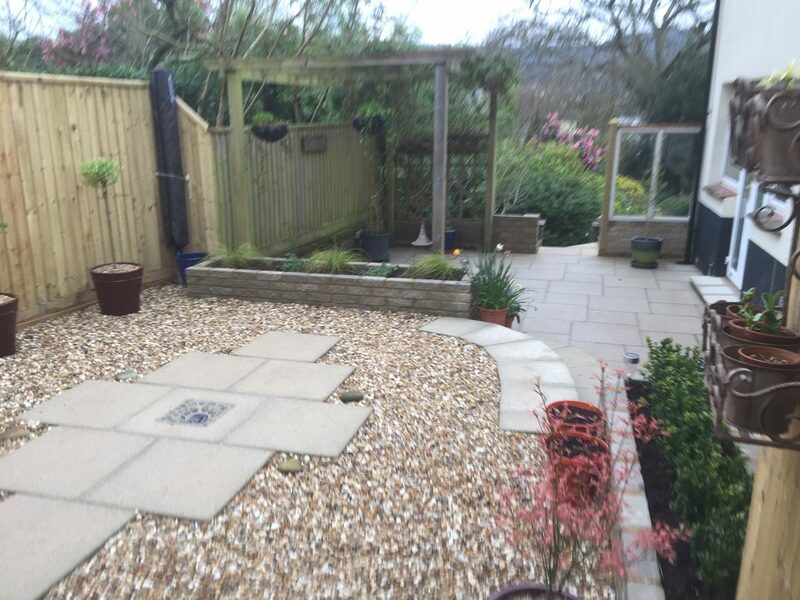 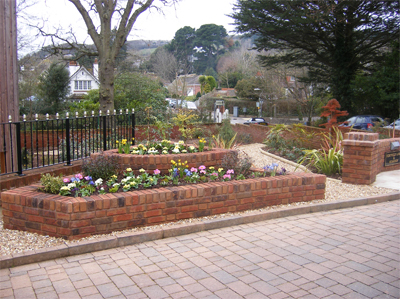 Courtyard landscaping and boundary fencing.